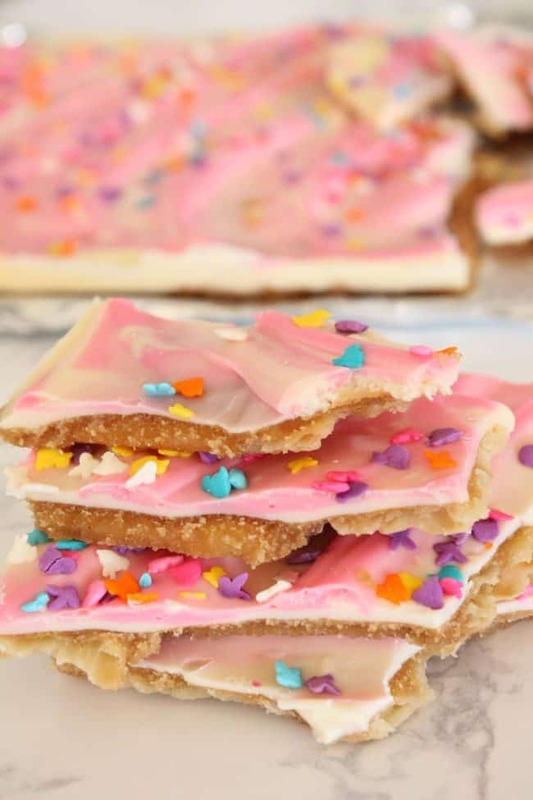 These No Bake Easter Treats are the perfect Spring treat that take half the work! 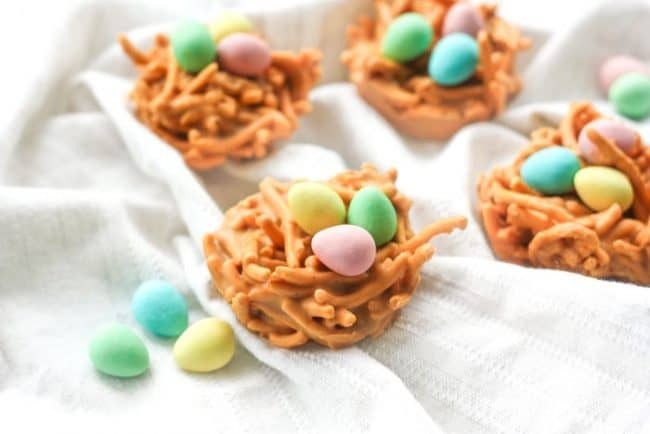 One of these tasty treats are sure to have you and your family happy and full of Easter spirit! 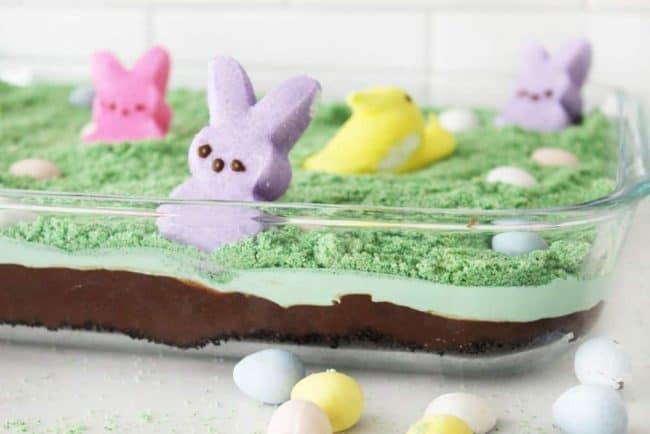 Easter desserts are some of my favorite things to make! Why? 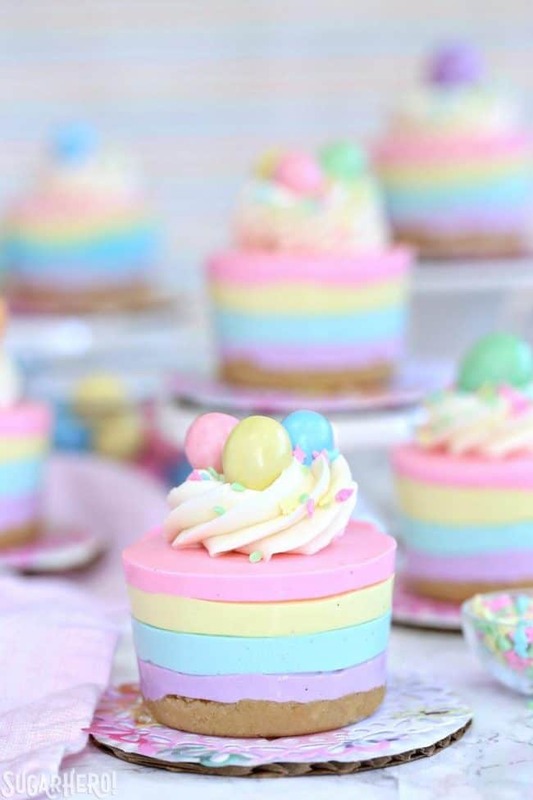 Because I can’t get enough of the beautiful pastel colors! I love anything banana, lemon and chocolate so these recipes below are sure to hit the spot! 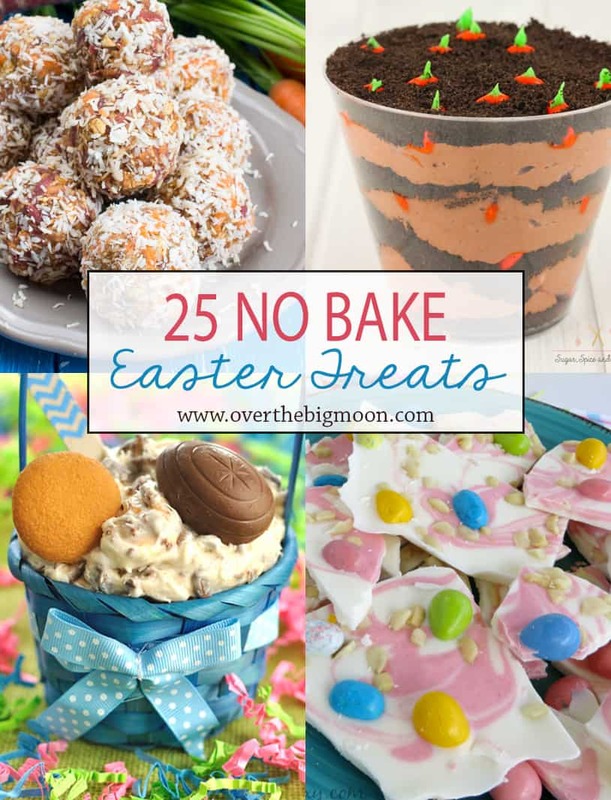 Today I have compiled the top 50+ No Bake Easter Treats! 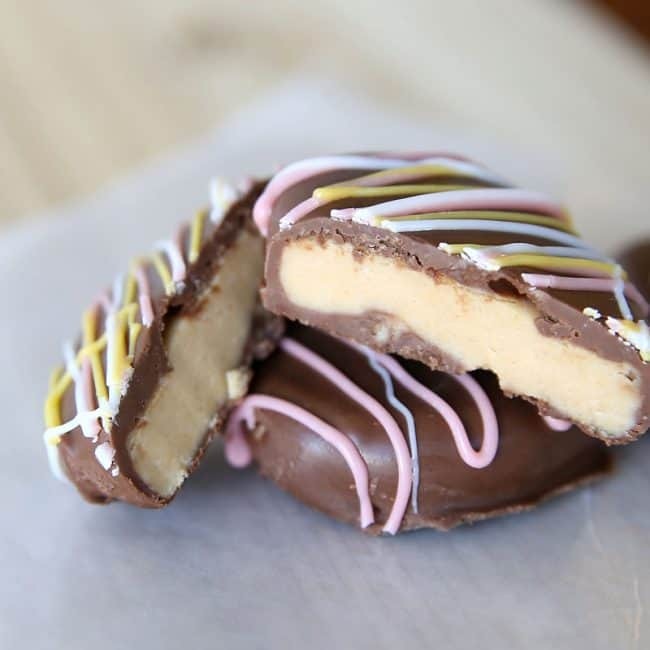 You’ll find cheesecakes, cakes, pies, cookies, popcorn and even chocolate bark! 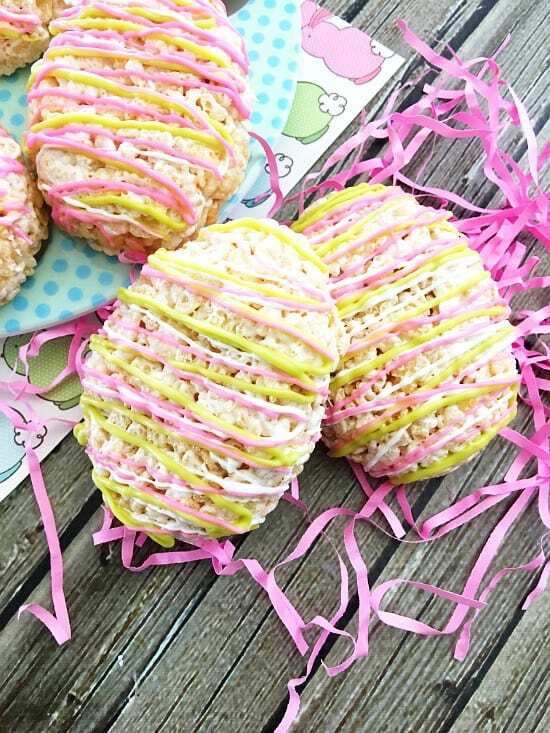 Easter Muddy Buddies at Frugal Mom eh! If you are looking for some other fun treats (that may require a little popping or baking), check these out! 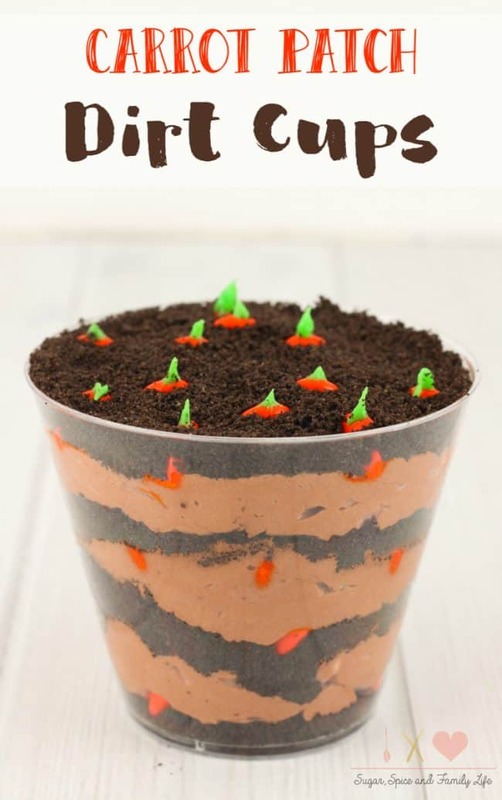 I’d love for you to pin the image below if you love these treat ideas! Thank you so much for including me in your collection! 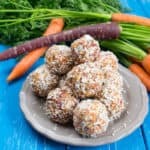 I love the no bake!